Popular staple style slot punch with adjustable guide. 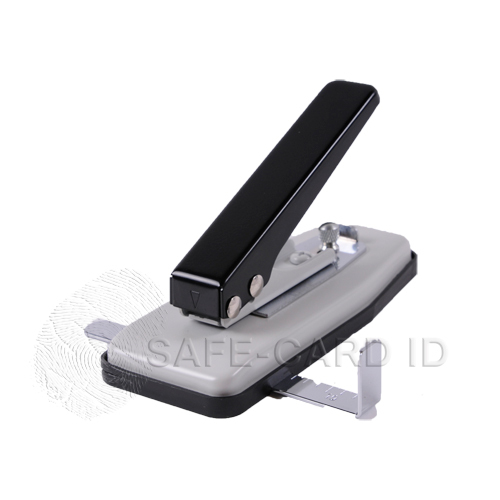 A slot punch provides slot in a PVC card so that it can be worn by using a badge clip or other holder. The punch provides a consistent hole in plastic cards and does not crack the card in two. Some punches that are designed to punch through paper may crack the plastic rather than punch it.